Ian Jeremy Cowan graduated in 1973 in Arts (Pure and Applied Mathematics, and Economics) and Engineering (specializing in Electrical and Electronic Engineering), and obtained a doctorate in 1977 for research entailing mathematical modeling and computer simulation of the thermal response of buildings, from the University of Dublin (Trinity College). He spent the summer of 1972 as a trainee, under the International Association for the Exchange of Students for Technical Experience, in the research laboratories of the Jutland Telephone Company, Aarhus, Denmark, where he was engaged in the development of a two-way amplification system for the telephone network. In 1977 he joined the Institute for Industrial Research and Standards, Dublin, where he was engaged in mathematical modeling and computer simulation of energy conservation options and optimal control strategies for the Building Industry Division, prior to becoming Project Leader in 1979 in the Energy Services for the construction and operation of the Irish Solar Pilot Test Facility, one of eight such facilities constructed in various locations across Europe under the research and development program of the Commission of the European Communities. He was named the Institute's Alternative Energy Specialist, and worked on national and international projects dealing with technologies such as cogeneration and the use of heat pumps, as well as in consultancy in building and industrial energy projects. In 1980 he sat on a committee of the National Board for Science and Technology investigating alternative fuels for transport, and 1n 1984 on one of An Foras Forbartha on the efficient use of energy in buildings, reports to Government providing the various options resulting. He served on advisory committees of the Commission of the European Communities on the management of projects supported under its research and development program. He was engaged in UNESCO collaboration projects in renewable energy, and presented at meetings on water heating in Belgrade in 1984 and on heat storage in Moscow in 1985. He served terms as Hon. Secretary (1983-5) and Chairman (1985-7) of the Solar Energy Society of Ireland, the Irish branch of the International Solar Energy Society. 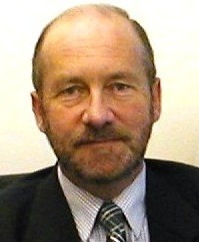 In 1986 he moved to the National Standards Authority of Ireland, first within the Institute, and subsequently within EOLAS-The Irish Science and Technology Agency, and Forf?s-Ireland's policy advisory board for enterprise, trade, science, technology and innovation, and from 1997 an independent authority responsible for standardization, certification, and maintenance and surveillance of metrological standards. His responsibilies have been in the areas of standards development and conformity assessment for electrotechnology and information and communications technology, and specific industry sectors such as security, including participation in the relevant technical committees of the European and international standards bodies, principally the European Committee for Standardization, the European Committee for Electrotechnical Standardization, the European Telecommunications Standards Institute, the International Organization for Standardization, and the International Electrotechnical Commission. A Chartered Engineer, he served a term (1989-91) as Chairman of the Electrical, Electronic, and Computer Engineering Division of the Institution of Engineers of Ireland, and was awarded a Fellowship therefrom in 1991; in 2010 he was presented with a Distinguished Service Award by the Electro-Technical Council Of Ireland. He has served as External Examiner for Certificate, Diploma, and Degree courses in Electronic Engineering at Institutes for Technology, and was External Supervisor for a doctoral degree in Engineering. In 1977 he was one of the founders of the Philosophical Association of Ireland, and became its second Chairman in 1979. His particular interest in experimental and theoretical physics was largely revived in the early to mid-1990s consequent to reviewing presentations made in Dublin by John Bell on quantum entanglement and by Alphonsus Kelly on questioning relativity theory. He has since published and presented on his subsequent endeavours to provide a synthesis between electrodynamic experiments and theory, including an informal presentation to the Dublin Scientific Club, a group established in the 1870s as an adjunct to the Physical Sciences section of the Royal Dublin Society and including at that time scientists such as Stoney and Fitzgerald as members, now a separate dining group meeting during the academic term for after-dinner scientific presentations. In 2011 he was asked by Astronomy Ireland to give the winter-spring and autumn-winter series of evening classes held in Trinity College, Dublin, to members wishing to learn the elements of the subject.